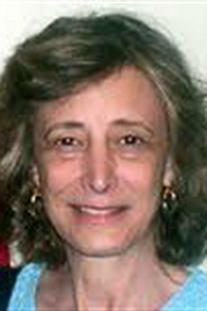 Nancy Eisenberg is Regents’ Professor of Psychology at Arizona State University. Her research interests include social, emotional, and moral development, as well as so-cialization influences, especially in the areas of self-regulation and adjustment. She has published numerous empirical studies, as well as books and chapters on these topics. She has also been editor of Psychological Bulletin and the Handbook of Child Psychology and was the founding editor of the Society for Research in Child Development journal Child Development Perspectives. Dr. Eisenberg has been a recipient of Research Scientist Development Awards and a Research Scientist Award from the National Institutes of Health (NICHD and NIMH). She has served as President of the Western Psychological Association and of Division 7 of the American Psychological Association and is president-elect of the Association for Psychological Science. She is the 2007 recipient of the Ernest R. Hilgard Award for a Career Contribution to General Psychology, Division 1, American Psychological Association; the 2008 recipient of the International Society for the Study of Behavioral Development Distinguished Scientific Contribution Award; the 2009 re-cipient of the G. Stanley Hall Award for Distinguished Contribution to Developmental Psychology, Division 7, American Psychological Association; and the 2011 William James Fellow Award for Career Contributions in the Basic Science of Psychology from the Association for Psychological Science.